HOUSES is about good design for the way we live today – the homes we live in, the products we use in construction, and the furniture and fittings we select. The first choice for residential design ideas, it's essential reading, full of products, pictures, and floorplans. Stories cover new and renovated homes, including suburban houses, town residences, inner-city warehouse conversions, seaside holiday houses, apartments, and everything in between. 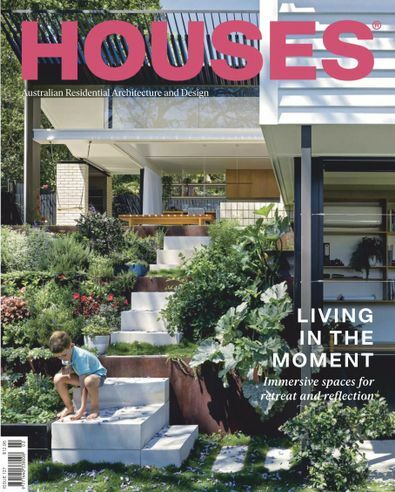 Inspire your next home project by reading the “go-to” resource of Australia’s best architects and interior designers. I Love this magazine! Im studying interior design so I love to keep up to date and be inspired by the featured pieces. I especially love that with every featured interior they also include little technical drawings! I currently have a 3 year subscription and will be renewing - they&apos;re great references for projects.